I have to admit, essential oils have phenomenally impacted my life and business in a positive way. What began as a holistic solution for allergies and post workout relief has become a pivotal asset in my daily routine. When I launched my vegan bath and body care line, I wanted to use high-quality ingredients from beginning to end, including scents. This is why many of my products are created with essential oils. ​My list of essential oils is growing and I'm discovering more ways to use them around the home, work, and travel. When traveling or at work, I bring my 5/8 dram bottles with me for easier use. Today I've listed my most used essential oils and how I get the most from them. Tea Tree: I diffuse this oil to clean the air or blend with peppermint and wild orange in the morning for a fresh, uplifting aroma. I add a drop to my reusable water bottle to add flavor (along with 3 drops of orange), fresh breath and immunity boost. Peppermint:When traveling, I rub a drop between my palms and inhale. I rub a little on my temples. I diffuse it at home and use for stomach troubles. Lavender: I sprinkle a few drops on my pillow to promote a more restful night. I rub on the bottom of my feet before going to bed. Balance Oil Blend: I use this for traveling, head and neck tension, and to help calm anxious feelings. Patchouli:I use it in my moisturizer for dry skin. I diffuse it alone and as a blend. I enjoy using my oil diffuser when I'm working and around the home. Each day, I add a few drops of essential oil to my diffusers (I talk about my favorite two in this post). By diffusing the oil, it can help you focus, uplift your mood, relieve tension and stress and create a therapeutic ambiance with just a few drops. This is a great alternative to incense burning. Some brands are solely for aromatherapy enjoyment while others target therapeutic and dietary purpose. If you don't see usage guidelines on the bottle, the product is for aromatherapy only. Oils such as cinnamon can become cause irritation to your body's special parts. Research your oil before adding to bath water. Some oils provide desired therapeutic benefits when used during a foot soak or applied to the soles of the feet. As a Wellness Advocate, I want you to be comfortable with your essential oils and products. Select from the options below to take action on enhancing your self care rituals. As always, if you need me at anytime, I'm here to help. Click on the blue messenger button on your left to chat or send me an email. 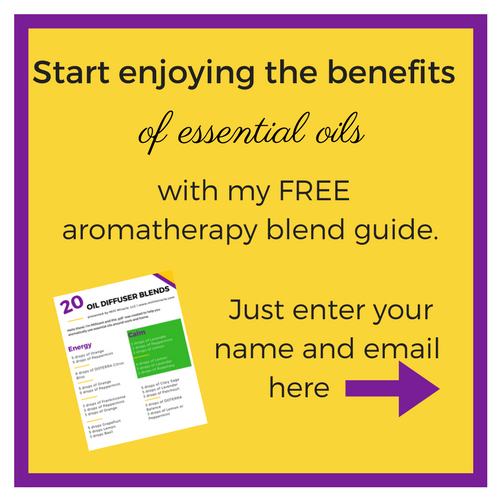 Want to know my favorite way to save money on essential oil purchases? Signing up with a program that provides 25-55% savings on essential oil products and accessories. I mean seriously, saving money on products that you will use on a regular basis? Sounds good to me. Let me point on easy ways for this to happen. The first option is to purchase essential products and accessories for 25% less than the retail price. By opening an wholesale account, there is no obligation to make monthly purchases. You can purchase at your convenience and qualify for additional perks. If you ready to purchase your wellness products right now click here to begin your order. Experience a variety of oils and accessories when you open a wholesale account with a essential oil starter kit. When you start out with a kit, you're able to experience the benefit of essential oils in various areas of life such as household cleaning, post-workout, air purification, immune support and much more. I want to help make a difference in your life, click here to sign up right away to receive your kit within 3-5 business days. Have more questions or want to sign up with a particular oil in mind? Schedule a chat with me to discuss available options. ​For more details on available essential oil kits and what to expect during your enrollment process click here.